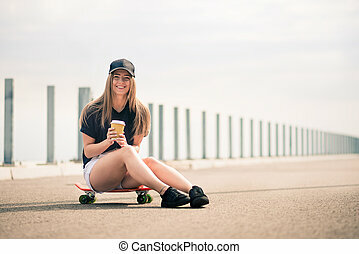 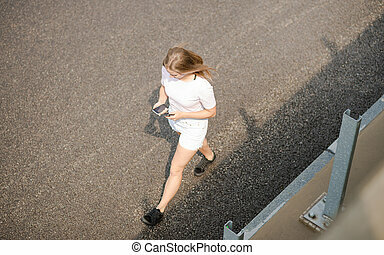 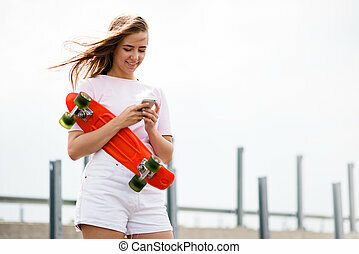 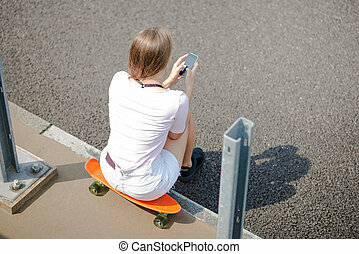 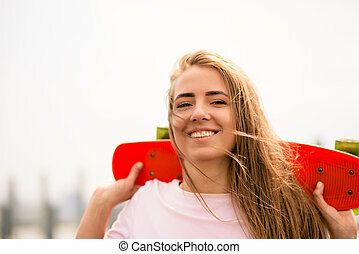 Portrait of young beautiful smiling blonde girl using smartphone while sitting on the bridge. 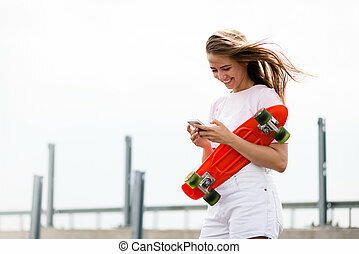 Portrait of young beautiful smiling blonde girl using smartphone while sitting on the bridge. 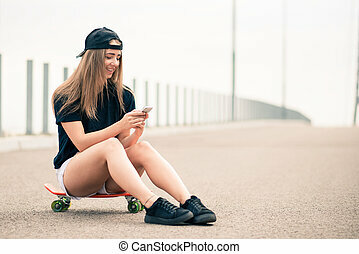 Portrait Of Young Beautiful Smiling Blonde Girl Using Smartphone While Sitting On The Bridge.